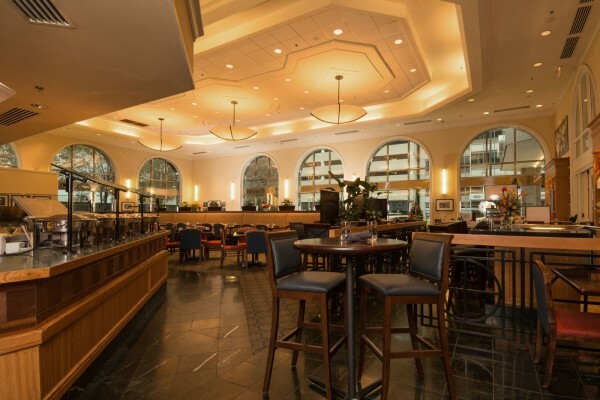 The 120 West Market incorporates both comfort and class for an unforgettable dining experience. Known for serving fresh ingredients indigenous to Indiana, Great Lakes and the Ohio River Valley, there is sure to be a menu item for everyone. Don't miss happy hour Monday - Saturday from 4 - 7 p.m.
Monday - Thursday, 6:30 a.m. - 2 p.m., 4 p.m. - 10 p.m.
Friday, 6:30 a.m. - 2 p.m., 4 p.m. - 11 p.m.
Saturday, 6 a.m. - 11 p.m.
Sunday, 6 a.m. - 2 p.m.